Innovative, high quality series of feeders providing powerful, automated feeding and collating solutions for standard and customized applications. 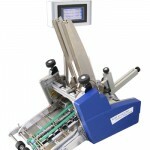 Feeders are crucial add-ons to our packaging machines. KÖRA-PACKMAT design and build our own feeders based on the technical know-how and valuable experience gained over the years. The feeders can be combined on our packaging machines or be supplied as stand-alone systems used for separating, counting and selective feeding of flat products. 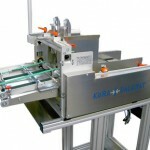 KÖRA-PACKMAT’s feeders have different operating principles for different applications. They can be supplied as bare units in OEM-version or be adapted on the standard units to meet specific customer requirements. Comprehensive, integrated solutions from a single source The Feeder Division also develops and supplies complete systems such as collators, coding machines, feeding and gluing lines. The products to be separated, e.g. envelopes, phone cards, blanks, are inserted into the magazine as piles. The lowest product lies on the friction belt and is pulled from the pile through the friction force of the belt. The braking roller prevents the next product from being pulled out as well. The opening belt and braking roller is set to the appropriate proudct height. Self-sufficient unit incorporating a wear-resistent automatic drive and a microprocessor control. High magazine capacity – can be filled during the feeding process. PLC interface with external controls. Easily adjustable to different products. Readily accessible and easy to operate. Easy to integrate into other machines. The control includes: operating elements, self-diagnosis system of the electrical functions, PLC interfaces, menu guidance, language selection, external parameter setting. 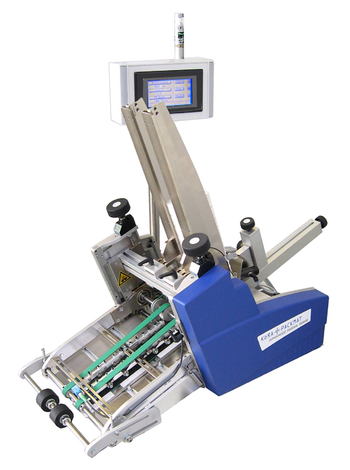 This servo-driven feeder excels in the precise positioning of products within the whole speed range of up to 1400 products / min. The AFS-300 AdvancedFeeder Servo is perfectly suited for the integration into feeding and affixing systems. The ideal feeder for precise feeding! 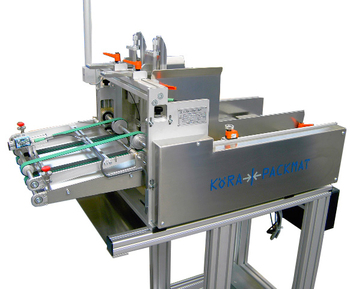 The KÖRA-PACKMAT Advanced Feeder allows you to feed almost any flat product. Depending on the format size, the feeding rate is 800 products/min. and more. 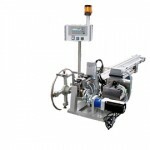 Owing to its compact design, this friction feeder can be integrated into any type of proudction line. The particalar feeder configuration is determined by the feeding process. Ideal device for counting operations. The technical innovative friction feeder AF-300 AdvancedFeeder convinces with its high user friendliness and its flexible operation in different application areas. A high effiency and an easiest handling for different kind of products characterize this device from Köra-Packmat. With this feeder you can reach a single feeding and couting performance of up to 1400 products per minute, depending of the format range of the products to be handled. AF-300 AdvancedFeeder – The all-rounder aligned to your requirements! 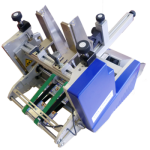 The EasyFeeder is the perfect entry model friction feeder for the separation of flat products. KÖRA-PACKMAT, the specialist for feeding and handling systems, offers outstanding performance and quality at an affordable price. The KÖRA-PACKMAT Easy Feeder is a simpler version of the Advanced Feeder. It is distinguished by a particularly favorable cost/performance ration and was designed specifically for smaller feeding rates of up to 60 cycles/min., depending on the format size, and for sheet material having a minum weight of 80 g/m². This makes it the ideal device for single-sheet feeds. This feeder has been developed especially for the medium performance area and covers single feed speeds of 80 products / minute. Even single feeding up to a minimum of 60 g/m² can easily separated and fed with this feeder. 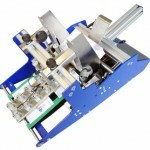 The ideal feeder for single sheets and multiple sheets and cardboards. The KÖRA-PACKMAT PPWA suction feeder is a flexible feeder for the damage-free feeding and positioning of advertising supplements.This module is suitable both as single module and for integration into wrapping machines. The PPWA suction feeder is delivered ready to be plugged in and can be simply connected to the wrapping machine. 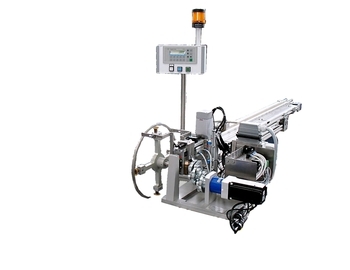 Upon connecting the PPWA suction feeder, it receives the start signal directly from the PLC control of the wrapping machine and thus runs synchronously to the working cycle of the machine. The ideal application for the feeding and positioning of advertising supplements such as CDs, CD cards, brochures, catalogues, sachets, sample rates etc. The KÖRA-PACKMAT PPR feeder is a special suction feeder with 4 heads, mounted star-shaped in 90°. The ideal feeder for horizontal and vertical placing of products through rotatory motion and for products with delicate surface! 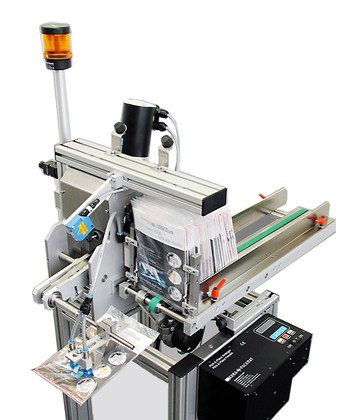 The KÖRA-PACKMAT drum suction feeder guarantees safe separation of stapled brochures or magazines, especially when the cover page is relatively thin. The products are separeted by cam controlled flat belts and a vacuum suction unit. Due to a double flat belt guidance the exact guidance of the products is guaranteed. 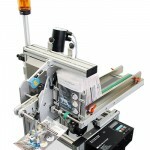 The LSA Feeder is used for the feeding and separation of thick brochures and magazines. With the PouchCutter PC100 we have a competitve and cost-effective solution at a medium speed compared with the highspeed PouchCutter PC300 for the cutting of linked bags of e.g. desiccants, product samples or similiar products. It is a compact cutting system with a machine speed of approx. 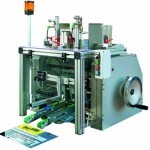 100 cycles per minute (depending on product) for cutting and positioning of linked bags fed from a carton box. 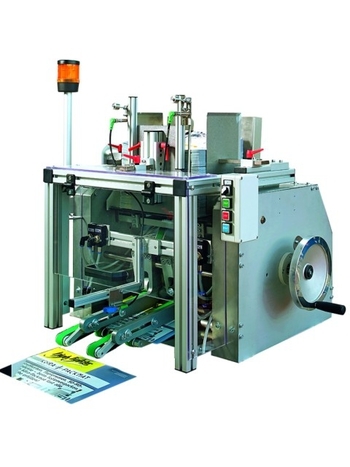 This module can be integrated into label printing machines for separating of booklet cuttings. 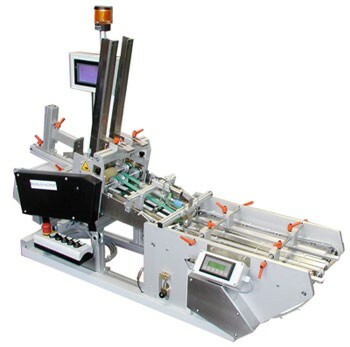 The cuttings are aligned on a flighted belt conveyor and synchronically fed into the label printing machine. © 2000-2010 Rainbow Packaging, Inc. All Rights Reserved.